“The Talk” project is peer-led project to increase youth access to mental health supports for young people who are involved in, or at-risk of being involved in, the criminal justice system. Through the training program, youth peer educators work on the development and delivery of awareness building workshops with law enforcers, mental health workers and legal aid workers, with a goal of increasing access to supports while changing local culture and practice in supporting youth living with mental health concerns. Project partners, residents and youth participants (Peer Educators and target audience) will learn about how law enforcement interacts with the community, legal and mental health systems; youth will develop skills as Peer Educators; the project team will develop, together, accessible outreach materials targeting youth, and will deliver 3-4 awareness- raising workshops to other youth and members of the wider community. 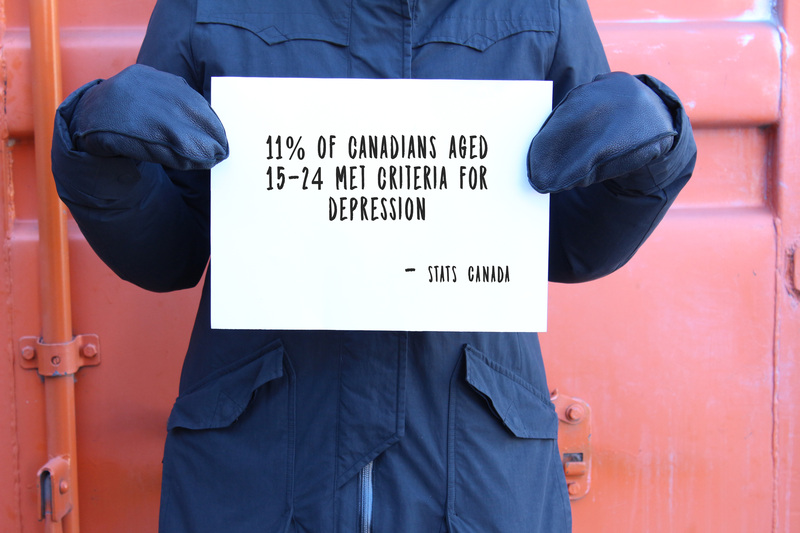 Around 1 in 5 Canadians will experience a mental illness throughout their lifetime. Youth (aged 15 to 24) met the criteria for mood disorders and substance use disorders at a higher rate than any other group. 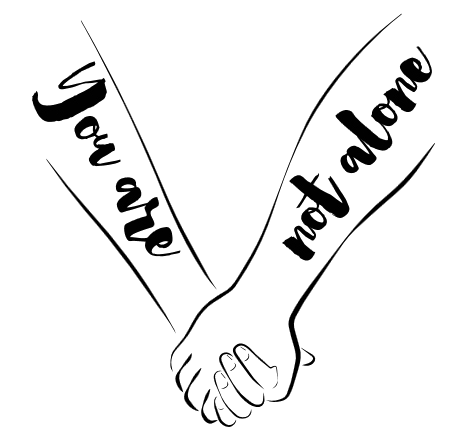 We are a youth lead group of peer educators who have held weekly meetings over the past year researching information on mental health disorders and developing workshop material to present to other community youth groups and high schools. We are peer educators who have first and/or second hand experience with mental health disorders and we are using our experiences and our stories to educate, empower, and connect with youth going through similar experiences. 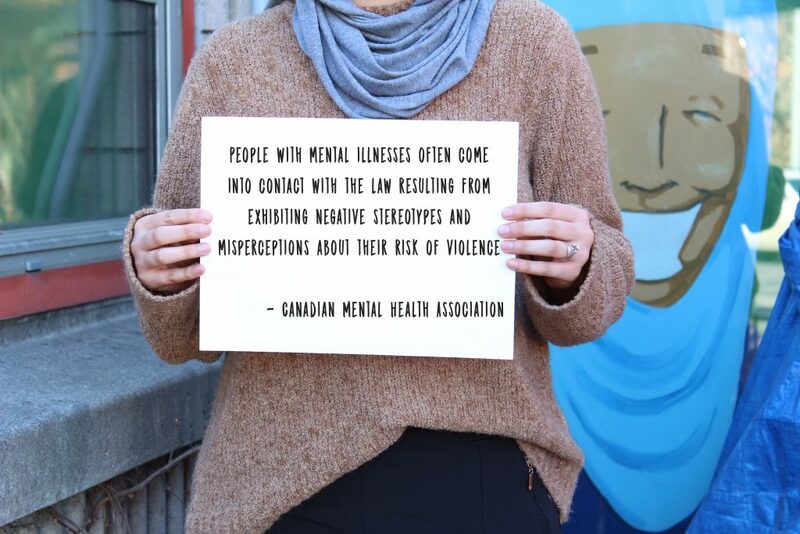 Funded by the Law Foundation of Ontario, partnered with Schizophrenia Society of Ontario, and Scadding Court Community Centre, we created this program to raise awareness around mental health issues in Canada. Approximately 1 in 5 Canadians will personally experience a mental health problem or disorder yet disproportionate education and media coverage contribute to the ongoing systematic barriers that prevent youth experiencing mental health disorders from obtaining and maintaining jobs, finishing school, building relationships, and overall carrying out day-to-day life. Our goal is to break through the many stigmas around mental health and create an open dialogue between youth and community. With a focus on wrongful convictions and the criminalization of mental health experienced by youth, we aim to bring awareness to ongoing injustices and offer alternative options and resources to help change the current narrative. We hope to be a catalyst that amplifies voice for the youth of today, and future generations. Clinical Depression is not your average depression caused by circumstances such as a loss of a loved one or a medical condition. It is a more persistent form of depression that ranges from mild to severe. Clinical Depression can affect anyone of any age including children. There are treatments, and much like most Mental Disorders, there is no cure. Treatments include antidepressants, and/or talk therapy to address your emotional state and underlying issues. I’m a 22 year old artist born and raised in downtown Toronto. I’m currently a student at Ryerson University, and aspire to be way too many things. I’ve always been a dreamer, I’m unstably solid with my plans in life, but it works. I’ve done a lot of community work in the Kensington market – Alexandra Park area. I was diagnosed with Clinical Depression at 7 years old, at 12 I was diagnosed with Severe Anxiety/Panic Attack Disorder and at 20 I got PTSD. My illness is all I know, but it does not define me. Most people would never know the battles I struggle with in my head. Because I’ve been to the darkest depths in my own mind, when this opportunity presented itself to me to be working as Mental Health Peer Educator, I jumped at the chance to be involved with Scadding Court, as I grew up in the community. People with mental health problems say that the social stigma attached to mental ill health and the discrimination they experience can make their difficulties worse and make it harder to recover. Mental illness is common. 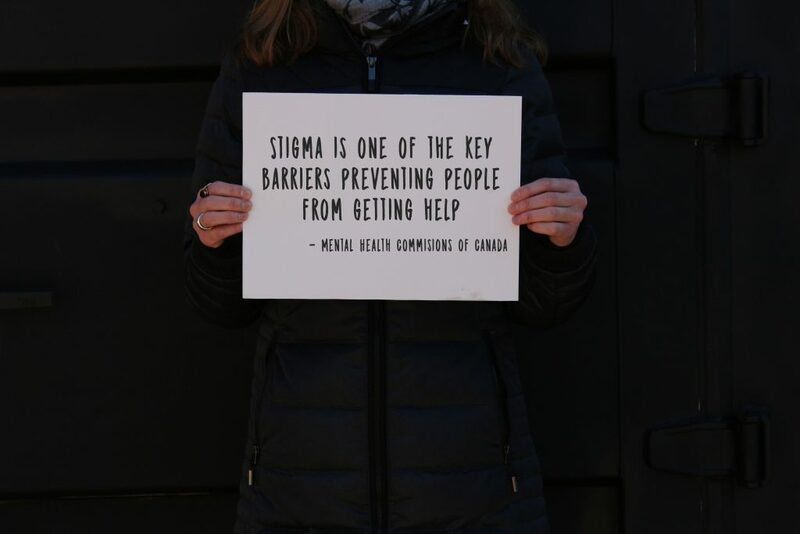 How can we stop stigma? Know the facts. Educate yourself about mental health problems. Be aware of your attitudes and behavior. We’ve all grown up with prejudices and judgmental thinking. How can we overcome stigma? Get treatment. You may be reluctant to admit you need treatment. Don’t let stigma create self-doubt and shame. Don’t equate yourself with your illness. My name is Katherine Garcia and my personal relation to mental health is through my family and friends. I was 15-years-old when I was first introduced to the mental health disorder-addiction. I was 19 years-old when I was introduced to the Bipolar Disorder. I’ve known my best friend for about 10 years now. Within the first year of knowing each other we became very close, in turn I became close to her family as well. For the first two years, her mom was sober. Suddenly that changed, and so did the life of my best friend. When her mother drank, she became this other women that NO one knew or recognized. Her addiction sabotaged all of her relationships outside of her home which left her extremely dependent on her kids and husband. In many ways this affected my friend, and for many years she didn’t know how to help her mother nor did I know how to help her. We decided to start looking into ways to help one that is struggling with addiction. Throughout this period, it was difficult for everyone. We knew we needed to be the best support system to help my friend’s mom through this. But as uninformed 19- year-olds, this naturally drove us insane. Four years later after trial and error with different programs and rehab centers her mother became sober but shortly after started experiencing episodes. She was diagnosed with depression and bi-polar disorder. Today, their family copes with it together. We’ve all learned that there is no cure, but there are ways in which we deal with it and make it easier to live with. My best advice to someone who wants to support a family or friend dealing with any mental health disorder, is to listen, understand and be patient. Treatment entails a combination of at least one mood-stabilizing drug and/or a typical antipsychotic, plus psychotherapy. My name is Antonio Rumere- Talahatu, I am 31 years of age. I was misdiagnosed with Bipolar disorder at 22. I’ve only recently discovered that I have BPD (Borderline Personality Disorder). I’m still learning more about the disorder and myself. I noticed changes within myself as I grew older and I couldn’t understand what was happening to me. I’ve always struggled with keeping a job as my emotions get in the way of my better judgment. On my good days I enjoy relaxing at home, cooking, reading and writing poetry. I have extensive knowledge of the things that trigger me, therefore I try my hardest to avoid situations in which a manic episode can occur as I cannot control my actions when my emotions are running high. Schizophrenia is a severe and debilitating brain and behaviour disorder affecting how one thinks, feels and acts. People with schizophrenia can have trouble distinguishing reality from fantasy, expressing and managing normal emotions and making decisions. Thought processes may also be disorganized and the motivation to engage in life’s activities may be blunted. Those with the condition may hear imaginary voices and believe others are reading their minds, controlling their thoughts or plotting to harm them. Antipsychotic medication reduces psychotic symptoms such as hallucinations, delusions, paranoia, and disordered thinking. Medication is much less helpful for treating symptoms of social withdrawal, lack of motivation, and lack of emotional expressiveness. Born in East Toronto, I’m 28 years old. I have an older brother that was diagnosed with Schizophrenia in his late teens. I had gotten involved with The Talk to further educate myself around my brother’s mental health disorder. Growing up with my brother was very difficult. He was constantly getting into trouble with law enforcement, and we didn’t understand why he was constantly in trouble until we got confirmation of his disorder. Since then, it has affected the family especially myself as I have always looked up to my older brother. Since being involved with The Talk, I have become more aware of my surroundings and the people around me, I am more sensitive to mental health disorders. My experience with The Talk has been a wonderful mind opening workshop. The Talk allowed me to express myself and be vocal in a way that I had never been before. The Talk helped me open up about my life and personal experiences mainly with my brother’s mental illness. Before I started The Talk, I never understood why my brother was mistreated and criminalized by the justice system. I never understood why my brother never got the proper help and right supports for his mental illness. The Talk helped me explore the mental health system and its connection to law enforcement. I now understand that instead of receiving mental health treatment, those who suffer for mental health disorders are incarcerated instead. 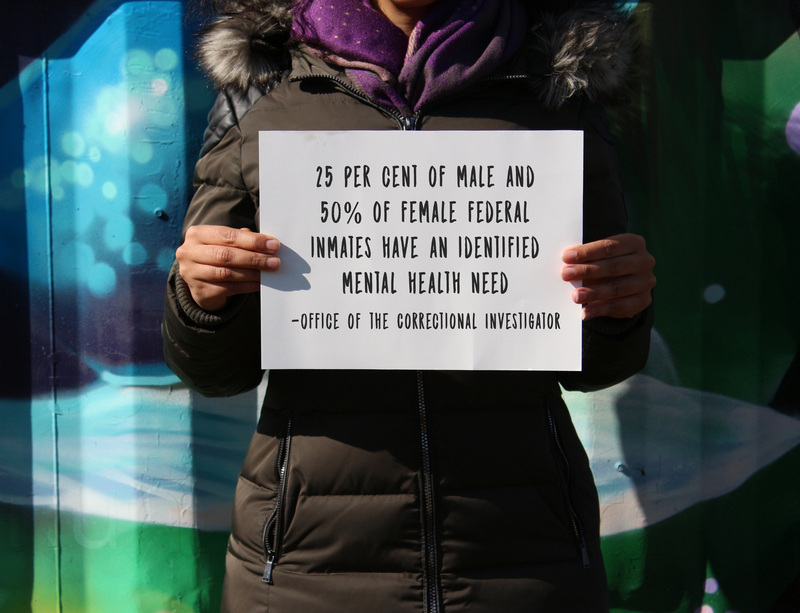 Specifically in Ontario, 80% of youth detained met criteria for at least one mental health disorder. During The Talk were learned heard from law enforcement on how they deal with crisis calls which require mental health supports. The Talk helped address the stigmas around mental health and how we can improve ourselves individually and support one another as a community. 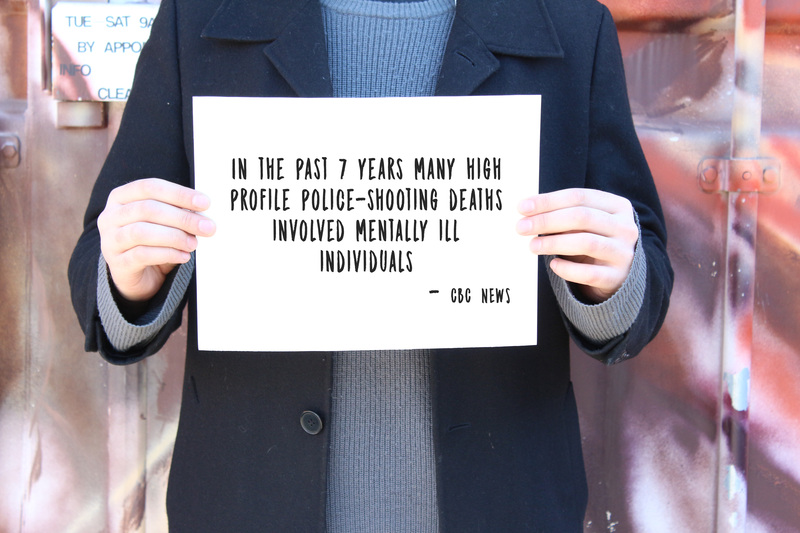 A York University study shows that stigma is often the reason youth and families wait to access support, and when a mental health crisis takes place, police are called to intervene and deescalate a situation. I hope in the near future we can still spread the message of The Talk throughout our city, reducing stigma, and increasing access to care. A resource guide of legal rights for youth and children in Ontario with a section dedication to mental health as well. Resources on addressing mental health and specific information and youth mental health and criminal justice. Toronto Police Service team partnership with hospital staff trained to address mental health crisis. Office hours are Monday to Friday from 9:00 a.m. to 5:00 p.m. EST. If you are facing a medical emergency or are in crisis, please contact your local Mobile Crisis Team, Distress Centre, or call 911.